It&apos;s a rare phenomenon in the world of style, but I, personally, have never seen Diane Kruger wear something bad. Have you? No, you most certainly have not. And if you think you did, it&apos;s actually your eyes that are bad and not what Diane Kruger was wearing. You should really get that checked out. For example, look at this disco-ready getup Kruger wore to the Whitney Museum of American Art Gala and Studio Party on Tuesday. 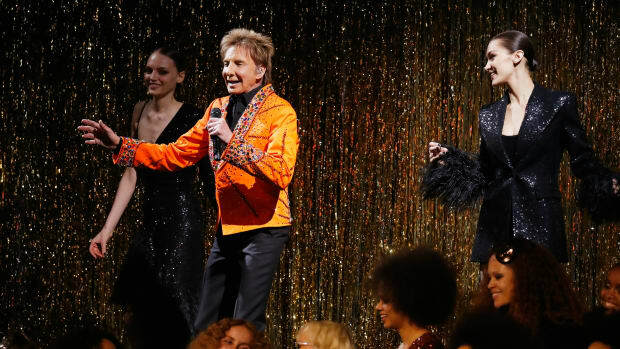 It&apos;s some fresh-off-the-runway Michael Kors from the designer&apos;s Studio 54-inspired Fall 2019 collection and it is spectacular. There&apos;s a lot going on here — a feathered arm, a crystal-embellished blazer lapel, a silver snakeskin clutch — and she&apos;s making it look as cool and as casual as the pair of leggings you wear to brunch on the weekend. That&apos;s skill! The styling helps: Kruger tones down the glitz and glam with a white silk blouse, knotted at the waist, matching crepe shorts and a pair of black sandals from Jimmy Choo. The pearl jewelry is understated, and the messy updo keeps the focus on the feathers and sparkle. Her beauty look has an interesting twist, thanks to the eyeshadow carried underneath the eyes, but it&apos;s still relatively neutral. And so another day passes in which you have never seen Kruger wear something bad. Isn&apos;t it nice to have something reliable to hold onto in this crazy world? So simple and yet, so wonderful.